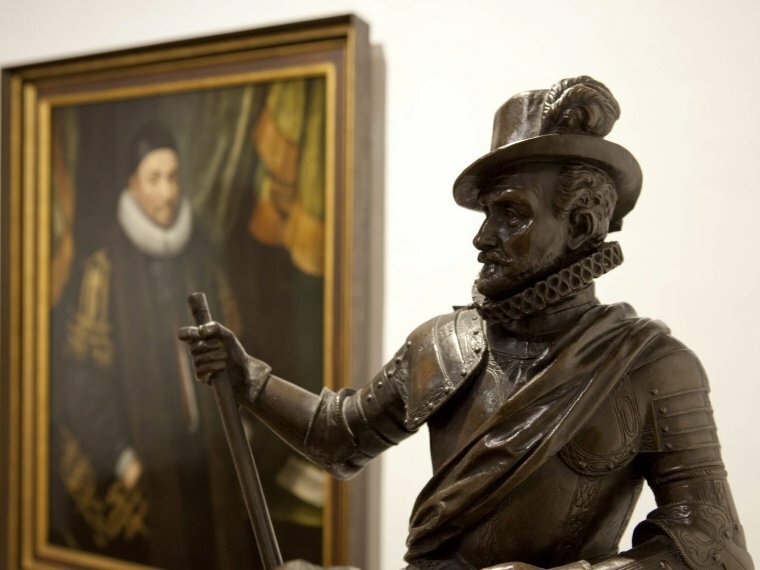 In Museum Prinsenhof Delft you can discover the history of the Netherlands. 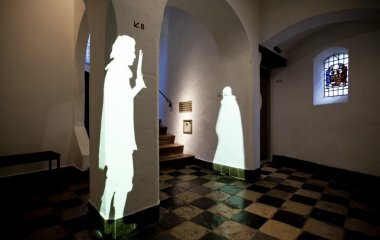 Museum Prinsenhof Delft was the scene of one of the most important events in Dutch history: the assassination of King William of Orange. William of Orange moved into the Saint Agatha cloister in 1572, which was then renamed the Prinsenhof, and which eventually became the Museum Prinsenhof Delft. 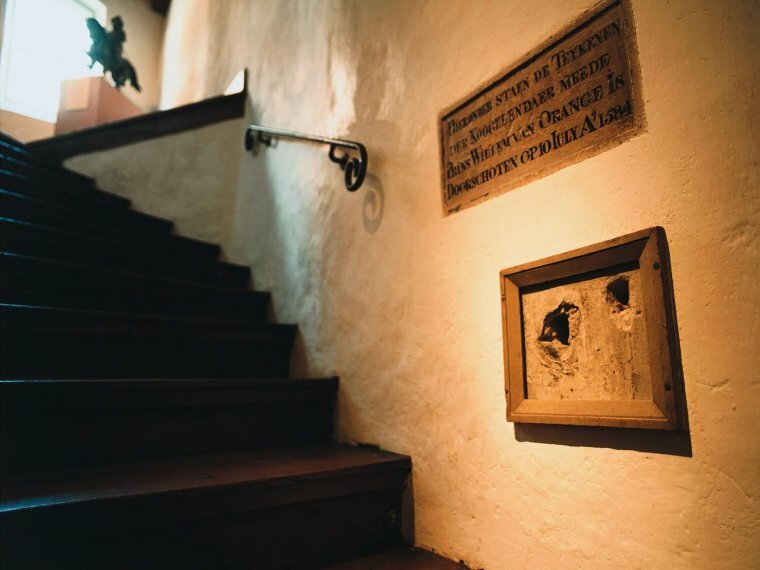 On 10 July 1584, he was gunned down by Balthasar Gerards as he climbed the stairs to his office. You can still see the bullet holes in the wall of the museum even today. 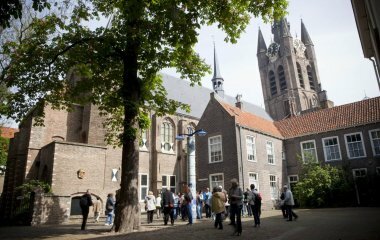 Museum Prinsenhof Delft allows you to experience the history of the Netherlands. Experimenting and innovation have always played an important part in the history of Delft. Many Delft artists and scientists have been at the forefront of new developments and made a significant contribution to the development of science and culture in the Netherlands. 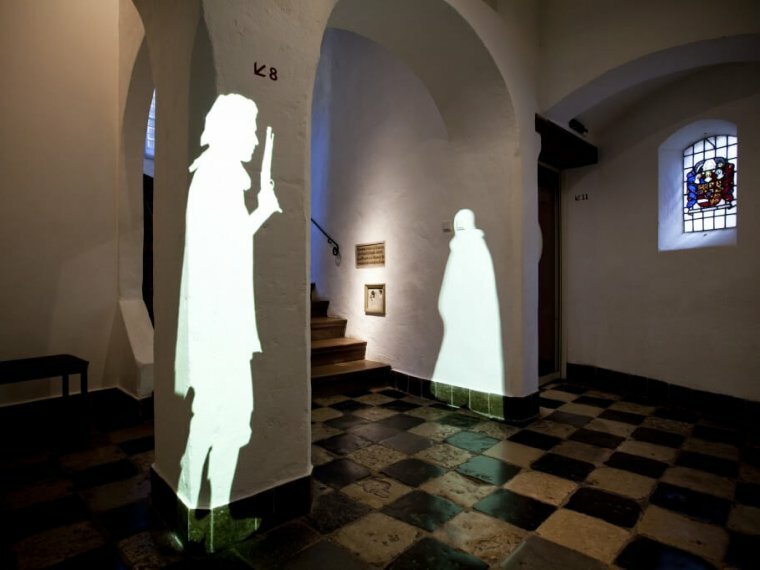 In Museum Prinsenhof Delft you can learn about such famous residents of Delft as Johannes Vermeer, Michiel van Mierevelt, Antoni van Leeuwenhoek and Hugo de Groot. 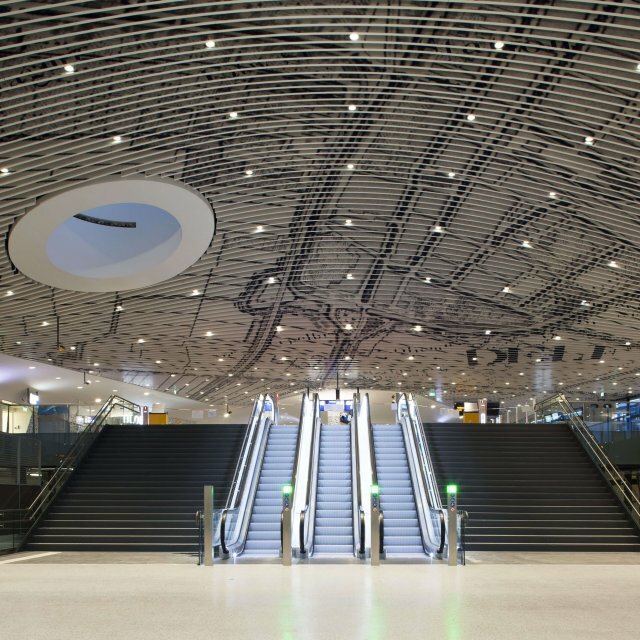 See for yourself how centuries of trade and commerce, engineering, art, and science have brought affluence to the Netherlands and changed the world. You will also learn about the origins of the world-famous Delft Blue earthenware and the secrets behind its success. 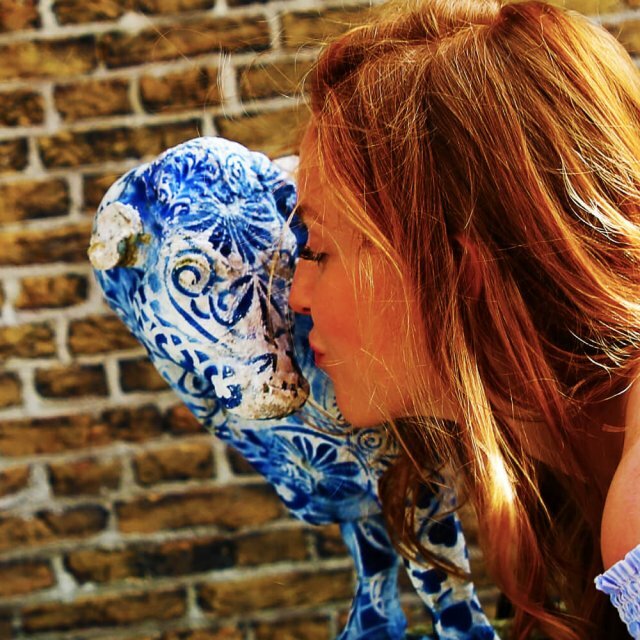 Delftware was developed in an attempt to reproduce the world-famous blue and white porcelain made in China. But the reproduction porcelain made in Delft soon achieved a worldwide reputation of his own. The museum has a large and varied collection of paintings, earthenware, and implements. 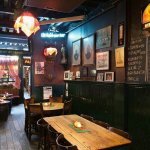 The highlights include unique Delft Blue masterpieces, paintings, textiles and silverware from the 17th century as well as contemporary ceramics.